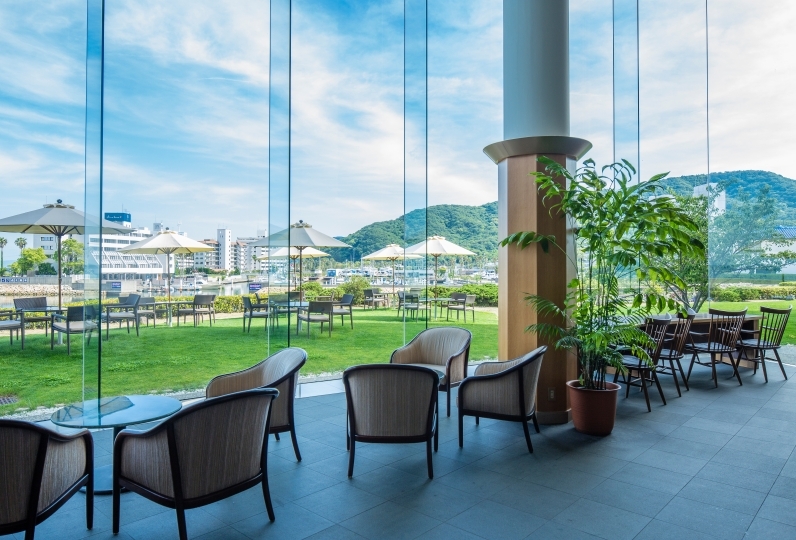 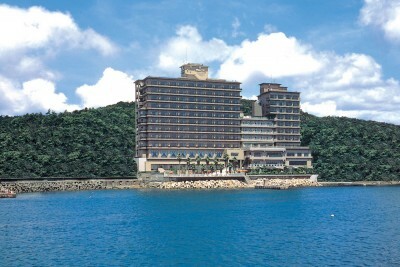 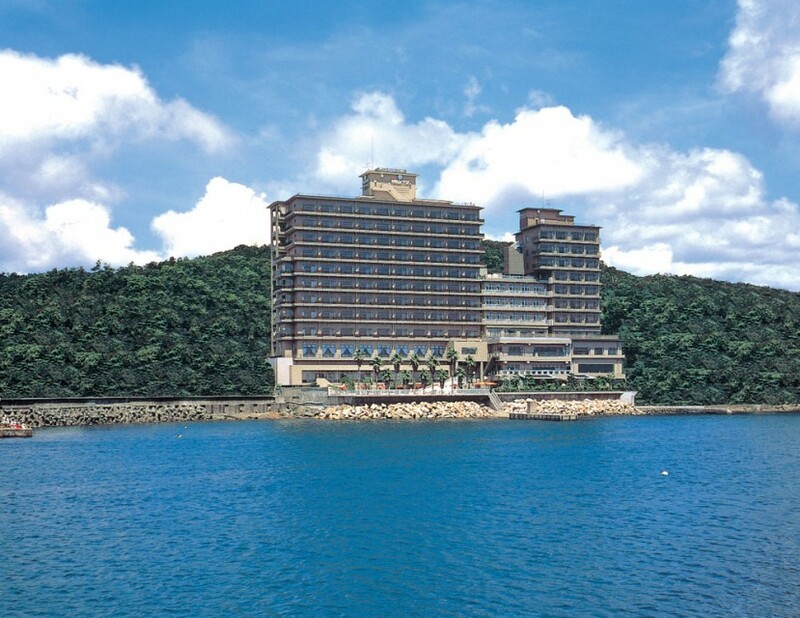 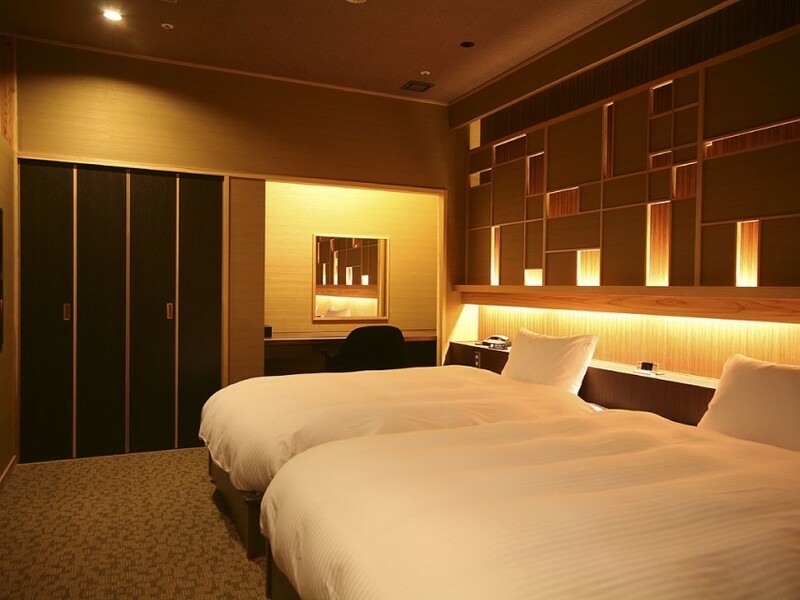 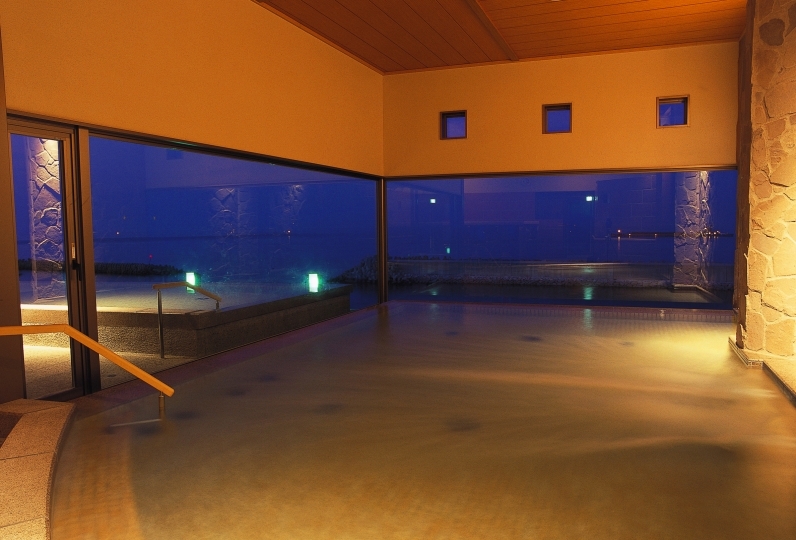 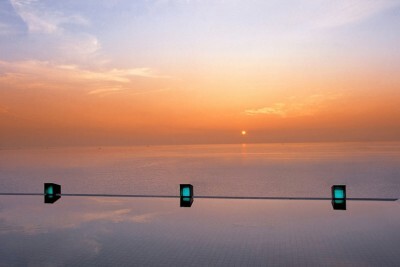 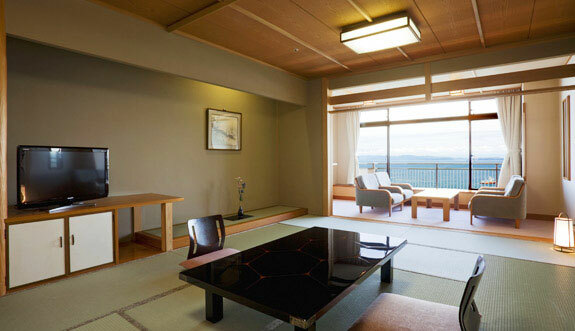 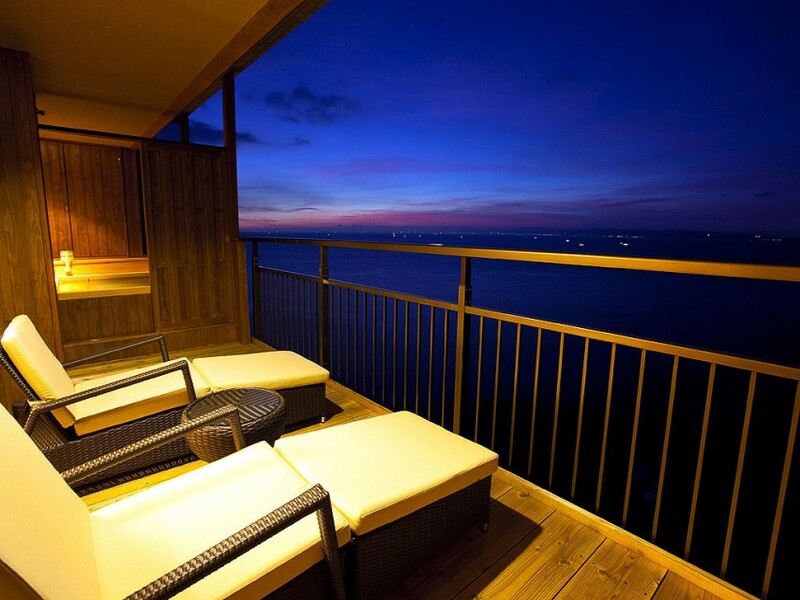 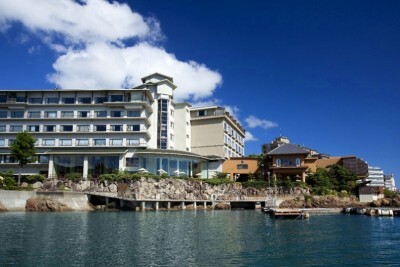 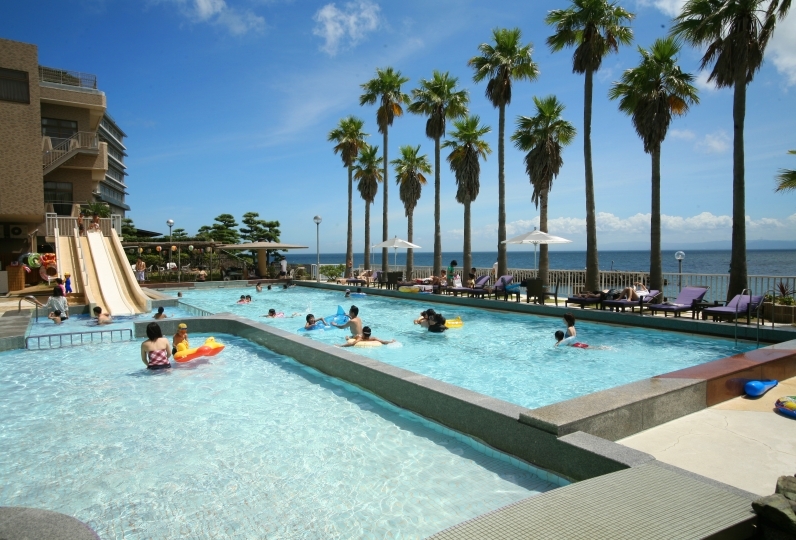 Book Hotel New Awaji in Awaji Island Sumoto Onsen— This hot spring resort hotel boasts a viewpoint overlooking the entire Osaka Bay. 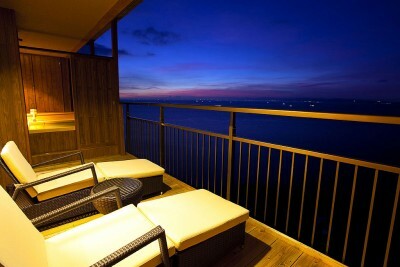 All rooms offer a view of the ocean. 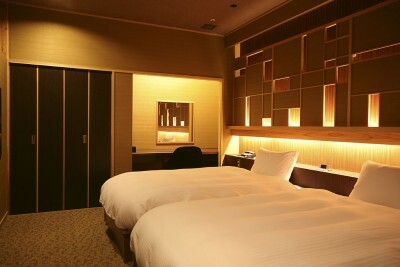 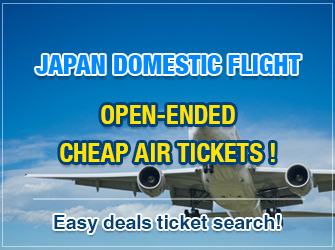 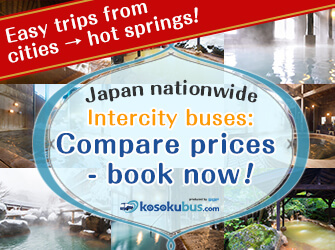 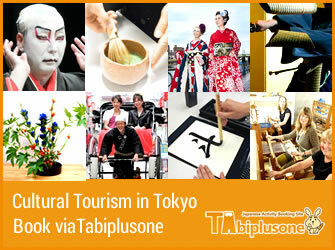 120 min by bus from Osaka Station. Local Naruto seafood. 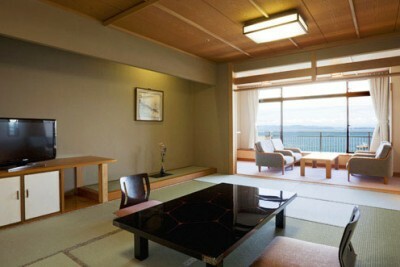 Local Awaji beef. 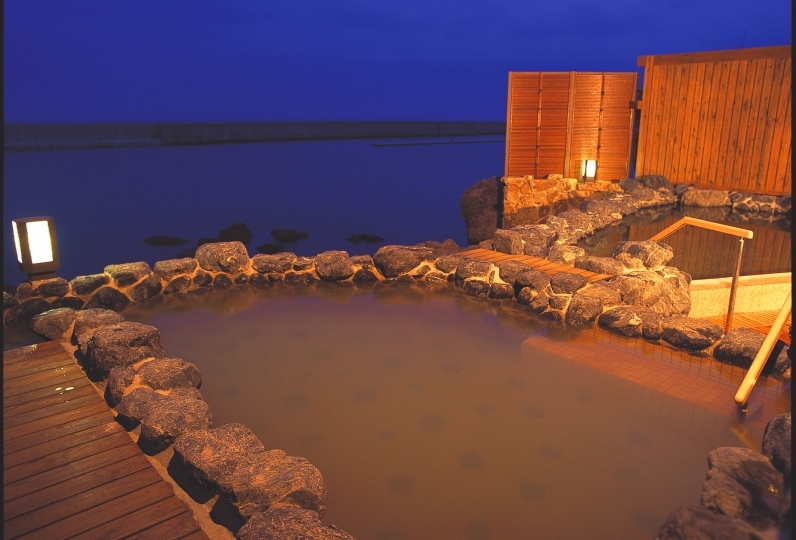 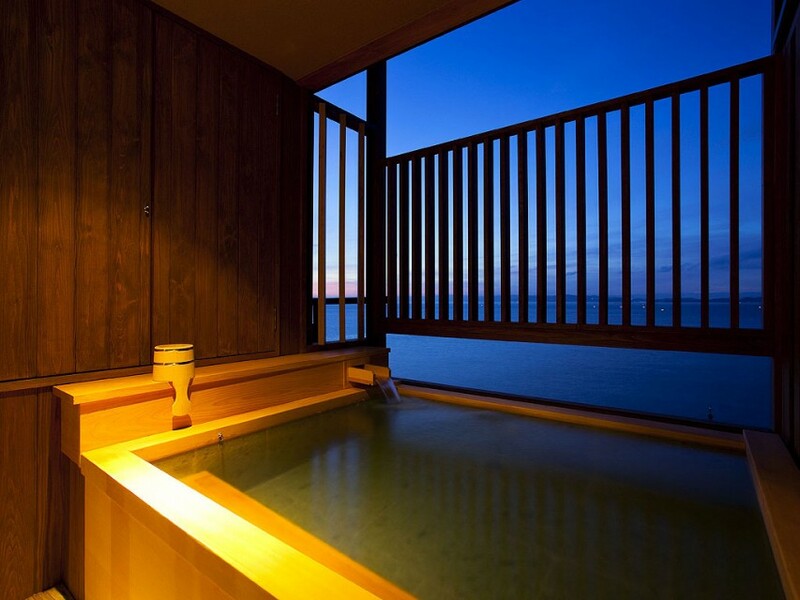 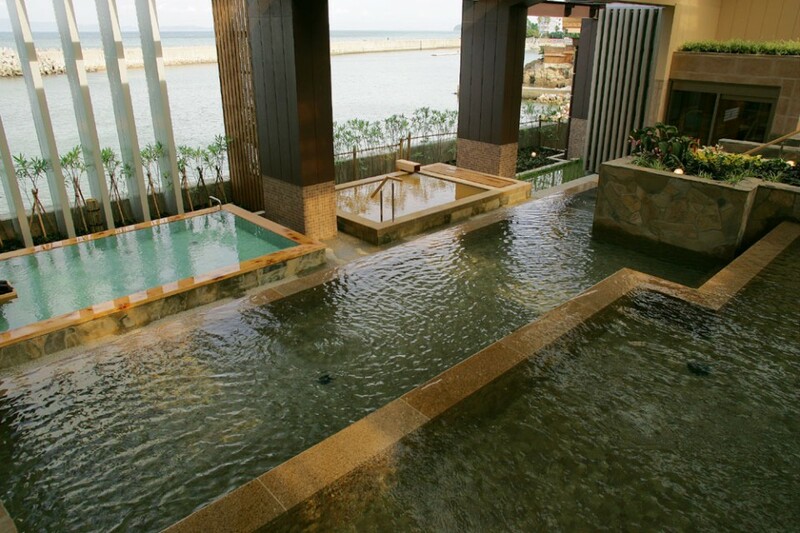 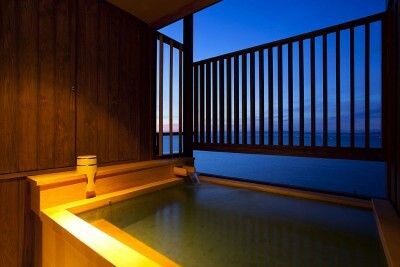 In addition to an open air bath with a great view of the ocean, two kinds of hot springs are available. The water is good for hardening of the arteries, skin problems, nervous disorders, etc. 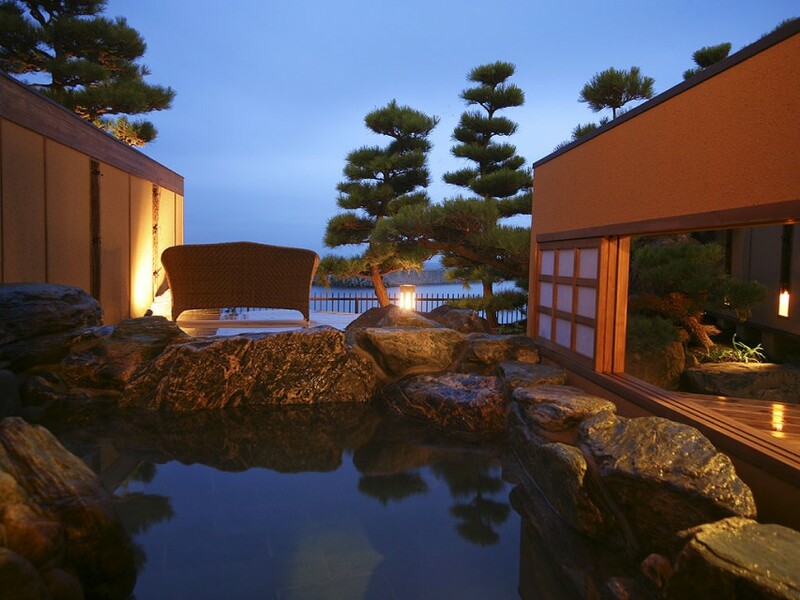 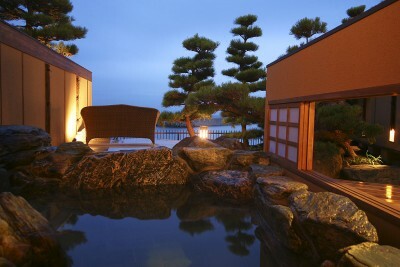 This ryokan combines a traditional Japanese ambiance with strong resort hotel elements. 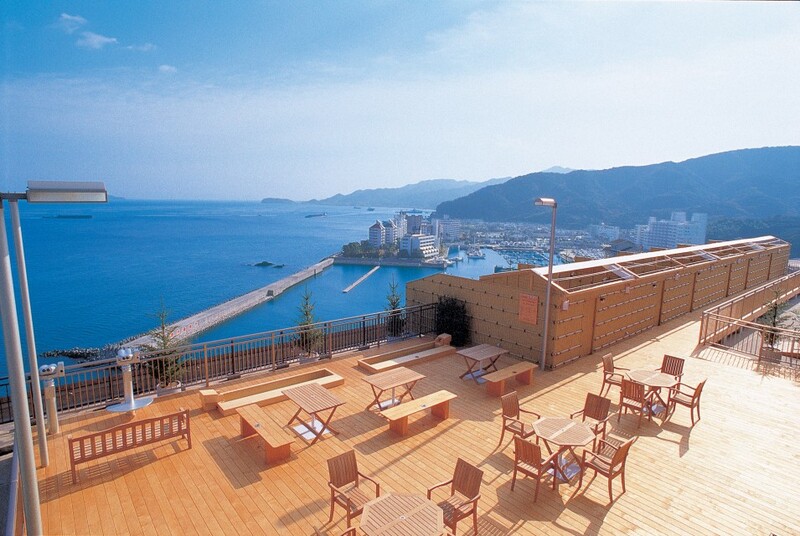 It is located on an island in Seto Inland Sea. 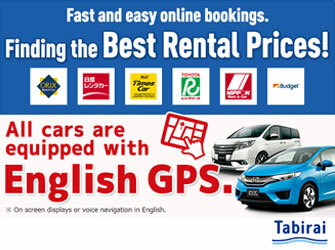 The rates are those as of July 2018.